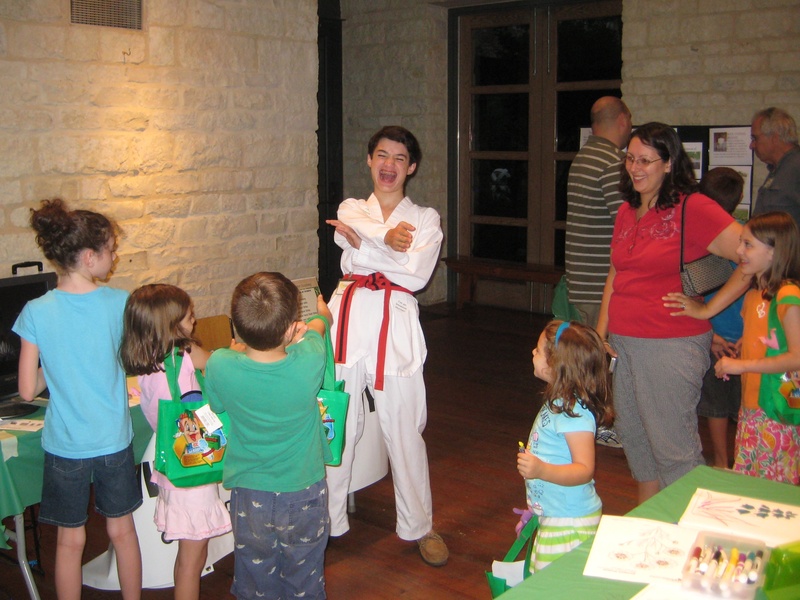 This summer, I brought the Invasive Hunter Academy back to Nature Nights at the Lady Bird Johnson Wildflower Center. It was such a blast. I met lots of kids who had gone through the Academy last year, so they helped me bring a whole new battalion of Invasive Hunters through the Academy this year. 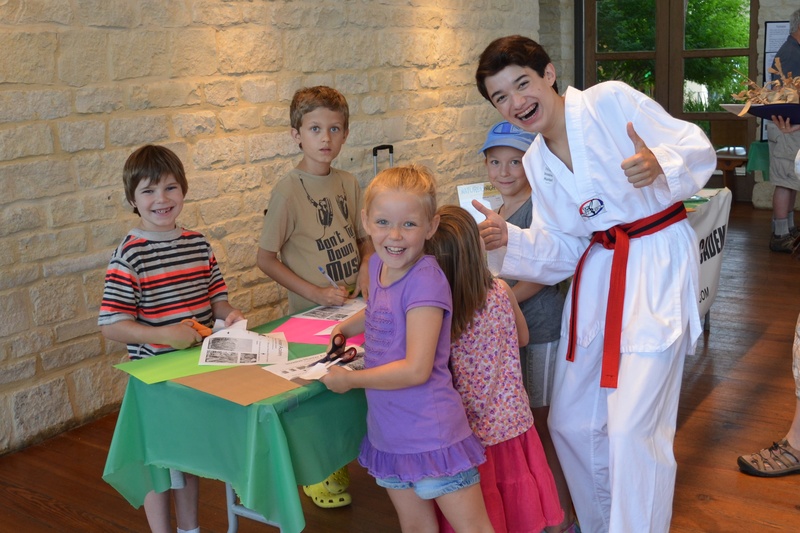 Here are some pictures from this year’s Academy at the Wildflower Center. With my Academy materials, I also show videos from my Battles with Invasive Species series. The Amazing Invasive Hunter Man was a favorite with this year’s young invasive hunters. 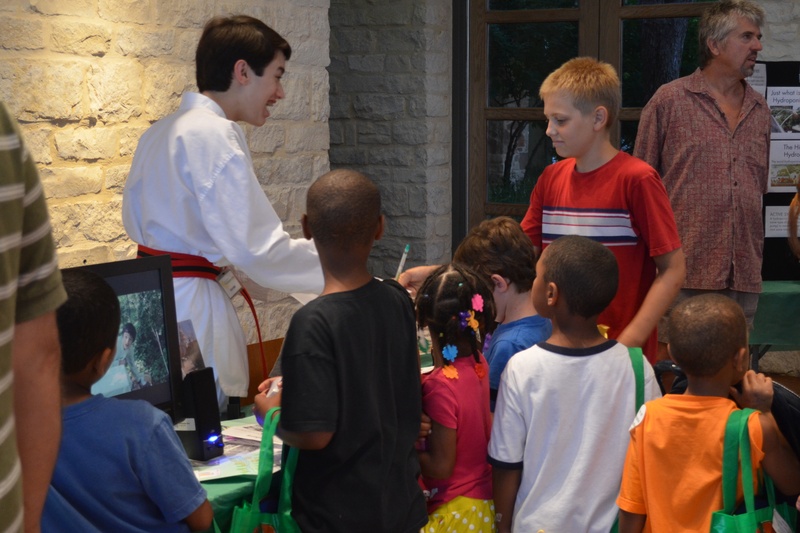 A crowd of young invasive hunters are learning about invasive plants. That’s Tea Time with English Ivy showing on the monitor. Part of becoming an invasive hunter is learning the action moves to take down invasive species. 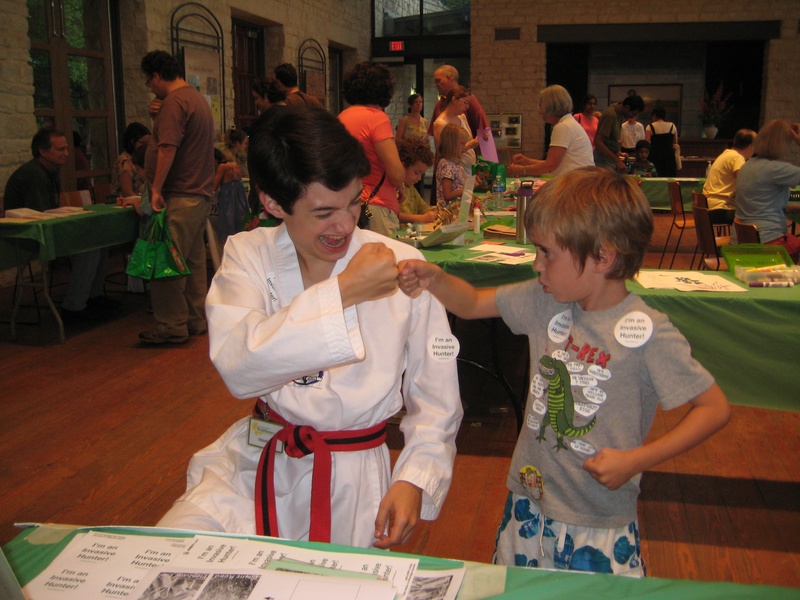 Here I’m kiaping with a young invasive hunter with one of our taekwondo moves. 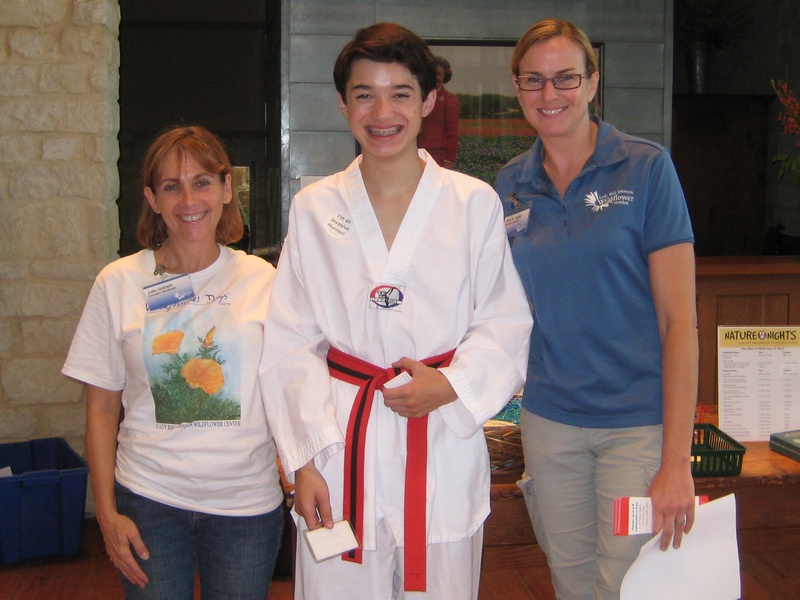 My thanks to Julie Graham, Education coordinator, and Alice Jansen, Education manager, with the Wildflower Center for inviting me to be part of the fun Nature Nights event! This makes it all worthwhile. Seeing the kids have fun and learn about invasive species and how to protect our native ecosystem. 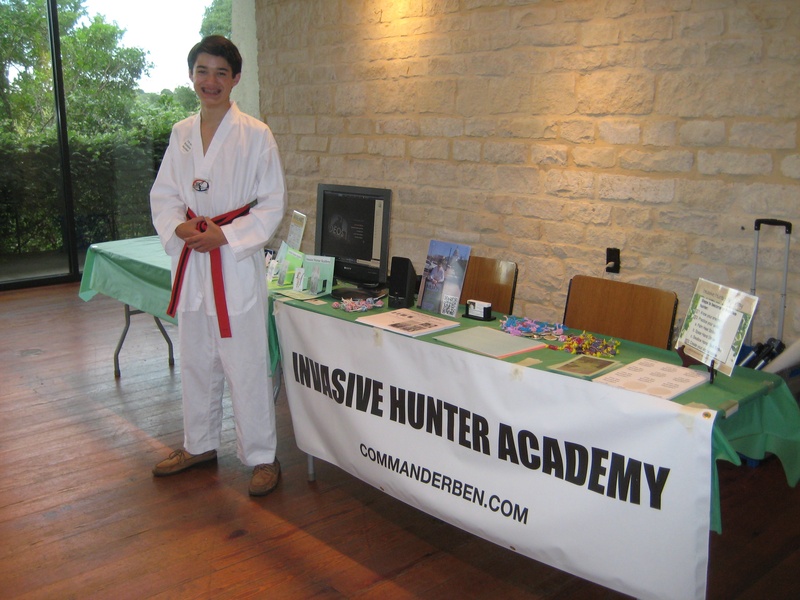 Learn more about the Invasive Hunter Academy at Nature Nights in 2012.